Professional blogging is a very new idea with a lot of potential for entrepreneurs who have insight, drive, and a basic understanding of today’s innovative web technology. The ranks of so-called pro bloggers are still quite small, and there are very few people who make their living entirely off of their blogs. However, every day there are more and more people who have managed to turn their weblogs into cash cows that supplement their income. The number of pro bloggers is growing by leaps and bounds, but it is difficult to say whether this trend will continue. Many bloggers dream of entering the sphere of professional blogging. There are very few people who happily devote an hour or more each day to their blog without at least occasionally wishing that they could earn some kind of financial reward for all of their work. Several models exist for making money with a blog, the most popular being to sell advertising space through Google’s AdSense program or directly to a company that wishes to reach the demographic that your blog appeals to. However, there are very few people indeed who can make a comfortable living just by selling space on their blog sidebars. A lot of the people who read weblogs are bloggers themselves, in part because of the fact that the people who use blogging technology on a daily basis are most likely to be interested in what other writers are doing with the medium. This fact begins to explain why the people who succeed in the world of professional blogging are mostly people who have devoted themselves almost entirely to learning about, talking about, and writing about blogging. 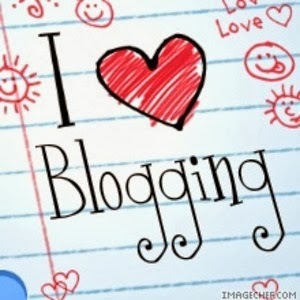 More than any other topic, pro bloggers turn their attention to the phenomenon of blogging itself. A lot of pro bloggers make the topic of blogging the stunningly self-reflexive ongoing focus of their blogs. Of course, professional blogging is destined to become much more complicated in the future than it is today. In the current moment, pro bloggers who attract the largest audiences and make the most money are mostly concerned with investigating the blogging movement and with offering advice to amateur bloggers. However, as the kinds of people who regularly read blogs changes, and the demographics of bloggers expand and diversify as blogging software becomes more user friendly, it is very likely indeed that the world of pro blogging will begin to reflect these changes. Indeed, it is very difficult to predict exactly what kinds of blogs will be reaping the greatest financial rewards five or ten years down the road. The world of pro blogging is one of constant change and flux, which is part of what makes it so exciting.